BTR-90 (GAZ-5923) is an 8×8 wheeled armoured personnel carrier developed in Russia, designed in 1993 and first shown publicly in 1994. 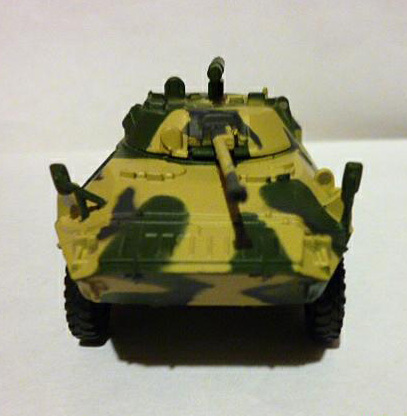 It is a larger version of the BTR-80 vehicle, fitted with a BMP-2 turret. Armour protection is improved compared with the BTR-80, giving protection from 14.5 mm projectiles over the frontal arc. It is armed with a 2A42 30 mm auto cannon, coaxial 7.62 mm PKT machine gun, AT-5 Spandrel ATGM, as well as an AGS-17 30 mm automatic grenade launcher. Limited numbers have been produced and are in service with Russian Internal Troops (Russian: бронетранспортер, BTR stands for Bronetransporty or literally "armoured transporter"). 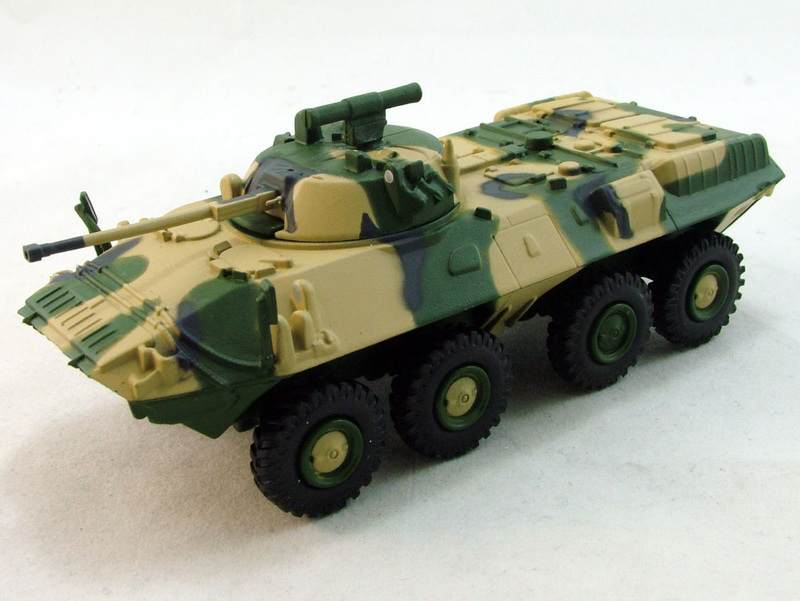 In October 2011 the Ministry of Defence refused to buy the BTR-90 and did not include them in the list of the state program of armament until 2020, and waived exports for the BTR-90. However about 80 pre-production models remain in Russian service. 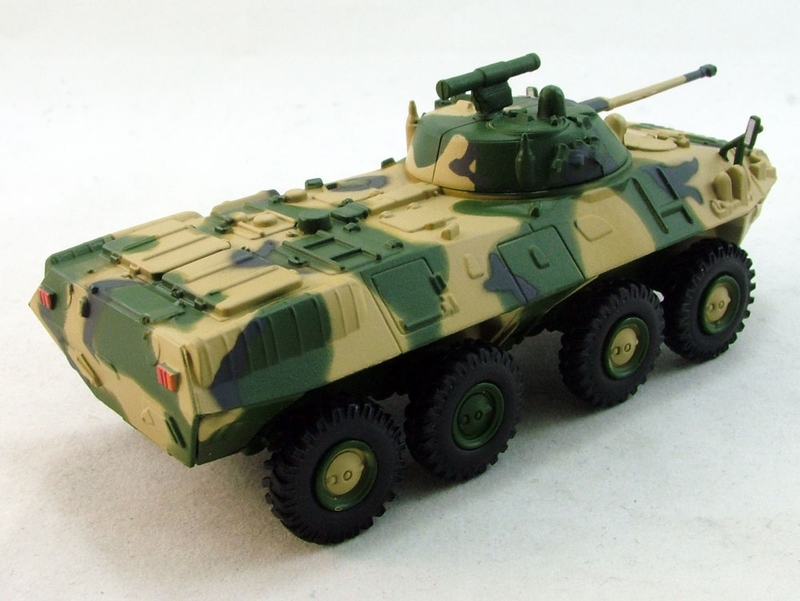 BTR-90 were tested in the army during the Second Chechen company.